soppu saaru recipe | huli soppina saru | mulangi or radish leaves saaru with detailed photo and video recipe. 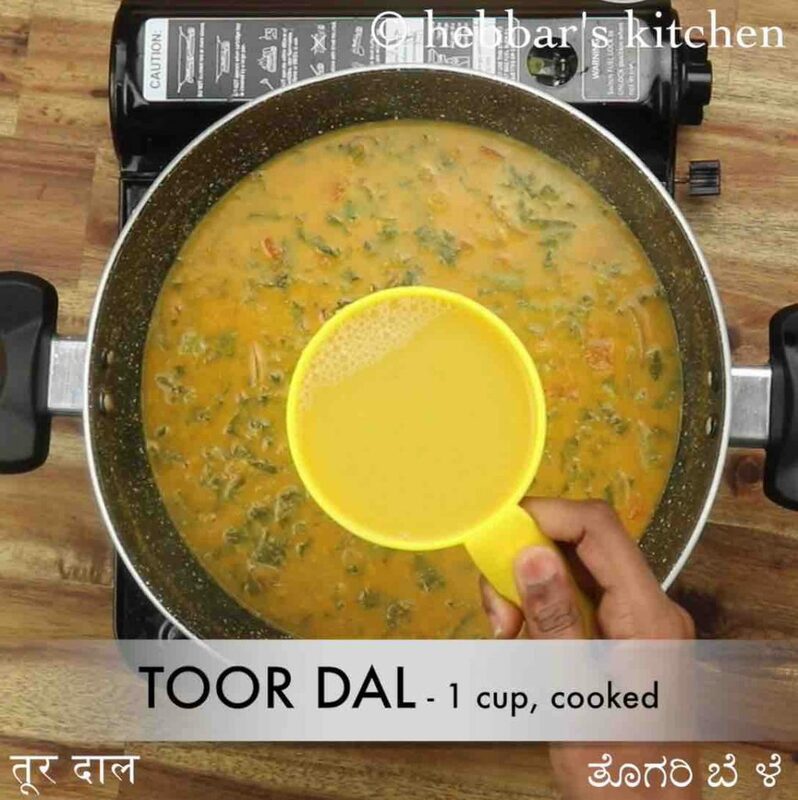 a traditional karnataka style coconut based rasam recipe made with tender radish leaves. it is an ideal curry recipe to be served with hot steamed rice for lunch and dinner. it is easy and simple to prepare and can be made with any choice or leafy vegetables by following the same procedure. 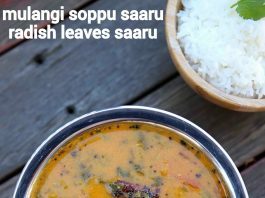 soppu saaru recipe | huli soppina saru | mulangi or radish leaves saaru with step by step photo and video recipe. karnataka cuisine has a lot of influence from its neighbouring states and its evident in its recipes. 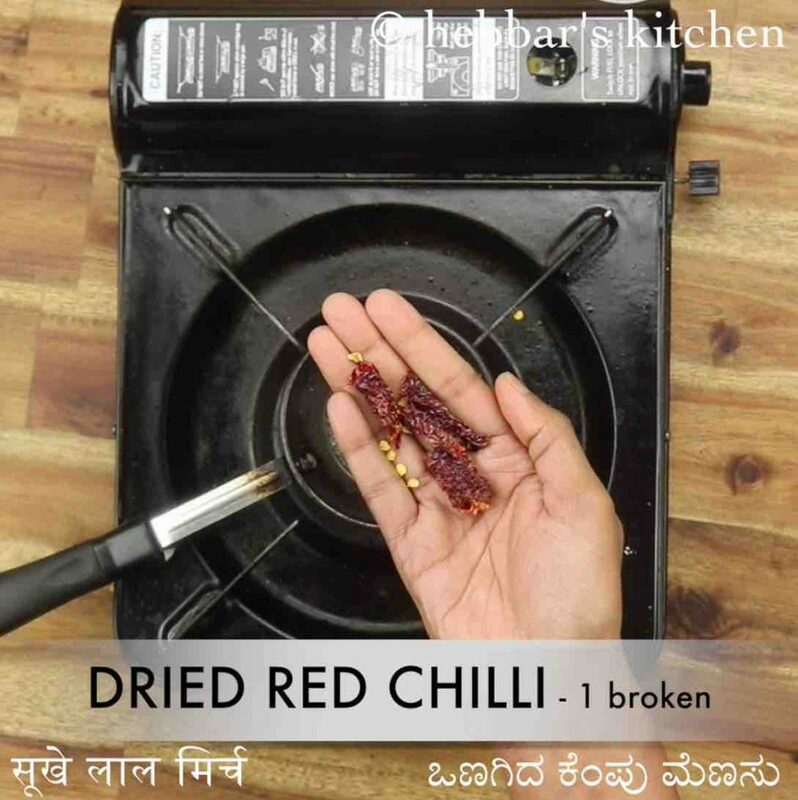 having said that there are many traditional and native recipes to kannada cuisine. 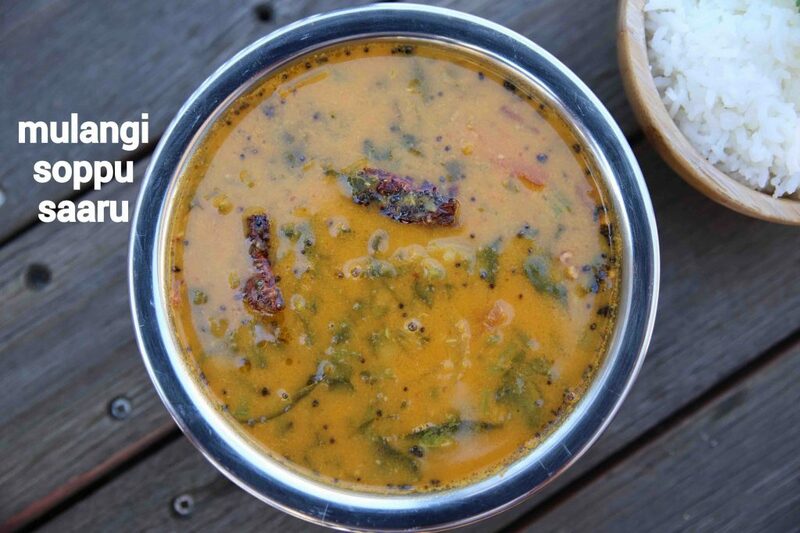 one such authentic and traditional rasam recipe is mulangi soppu saaru recipe made for steamed rice. this is one of the simple saaru or rasam recipes which i make it frequently for my lunch and dinner recipes. yet it took me so long to post it in my blog with a video. perhaps i just overlooked this recipe. nevertheless, i am posting this recipe today with fresh and tender radish leaves. as a matter of fact, i make this recipe with choice of leafy vegetables. i make it with beetroot leaves, spinach leaves, malabar leaves and dill leaves. i even make it with the combination of leaves and it equally tastes great. in other words, there isn’t any hard and fast rule to use just radish leaves and can be made with whatever available in your fridge. moreover, i make sure to add sliced onions which makes it more flavoured and gives a nice texture to saaru. furthermore, i would like to add some tips and suggestions for a perfect and flavoured mulangi soppu saaru recipe. 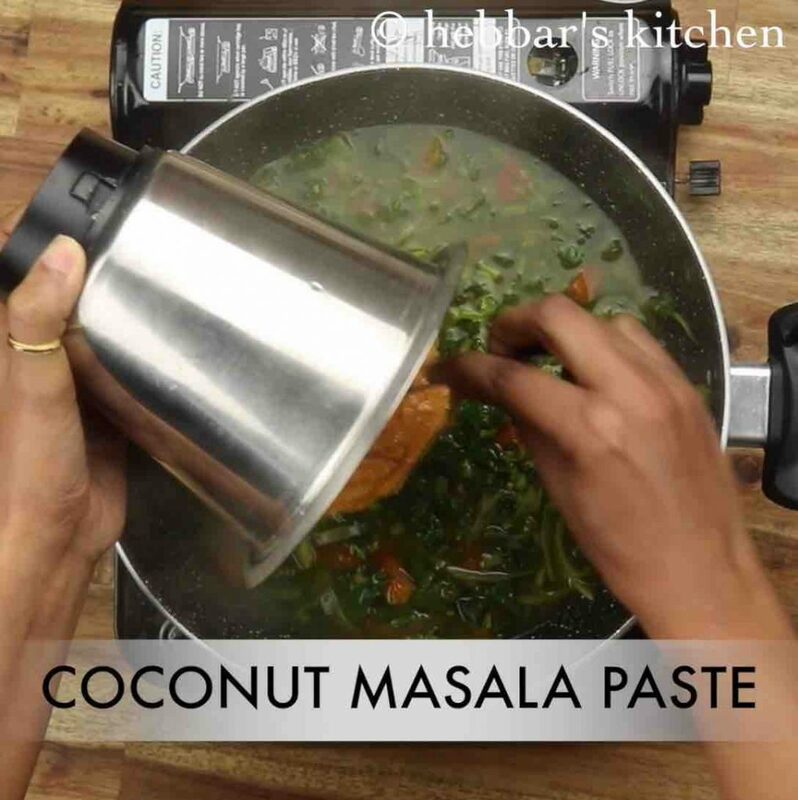 firstly, in this recipe, i have used freshly grounded masala paste, but you can also blend rasam powder with fresh coconut. you can use store bought rasam powder or you can use freshly prepared rasam spices. secondly, if you are using radish leaves, onion is a must as it balances the strong odour of radish leaves. you can skip it if you are using other leafy vegetables as it is not mandatory. 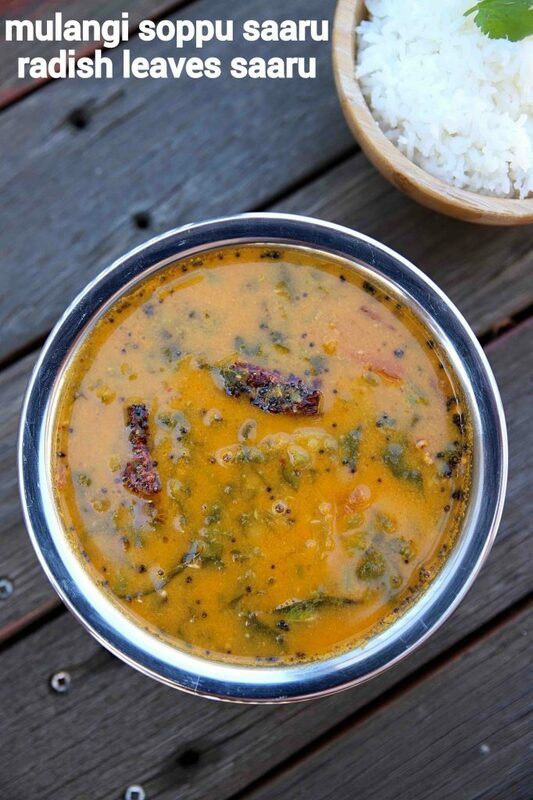 lastly, the rasam cannot just be served with rice, but also with ragi mudde or even with the choice of pulav recipes. 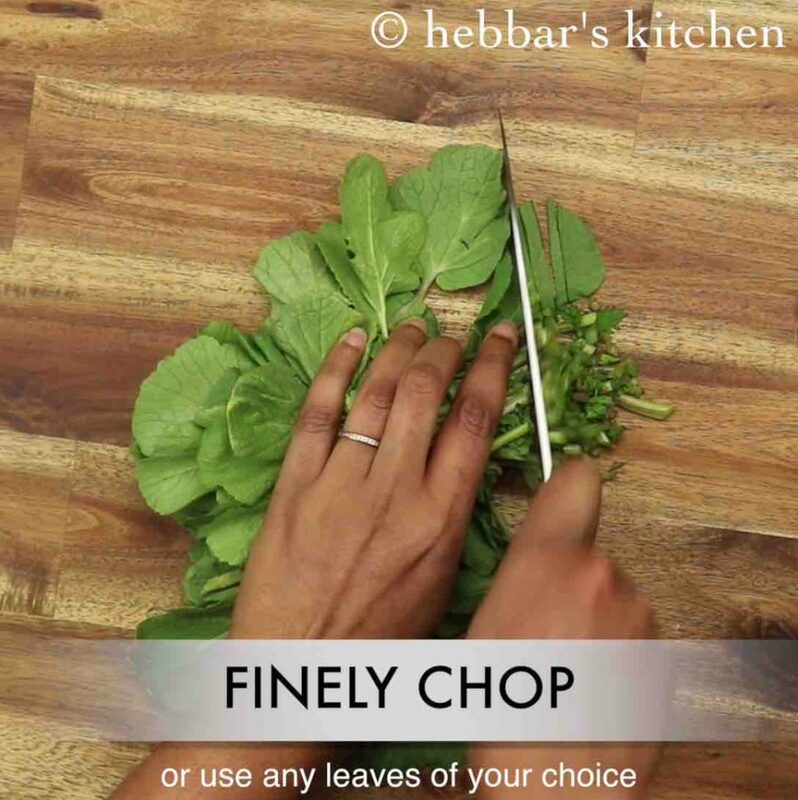 firstly, finely chop radish leaves. you can alternatively use any leaves or combination of leaves. 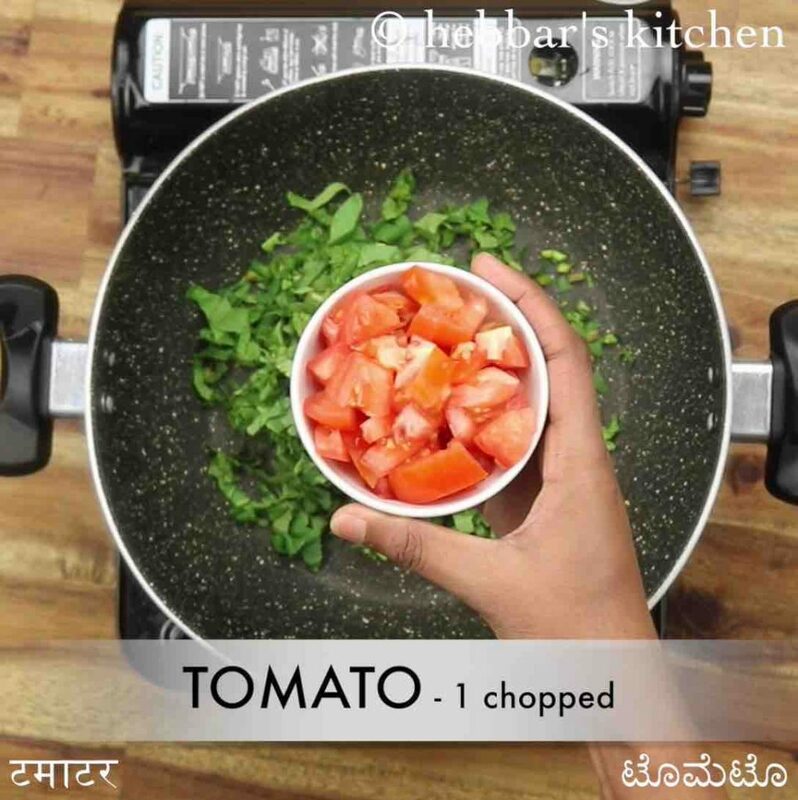 also add 1 tomato, ½ onion, ¼ tsp turmeric, 2 cup water and ½ tsp salt. 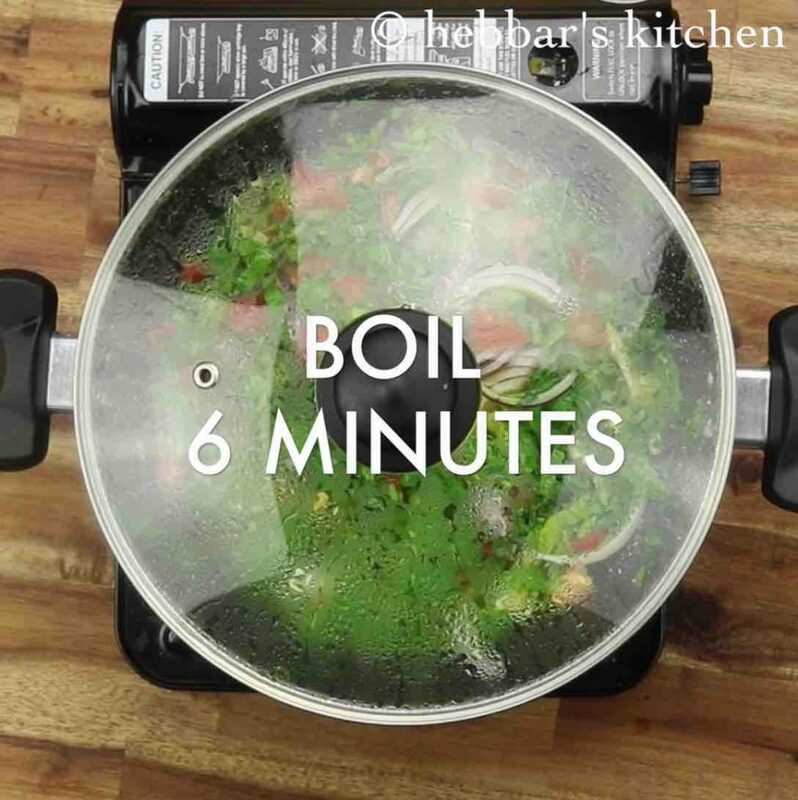 cover and boil for 6 minutes or until the leaves are blanched. 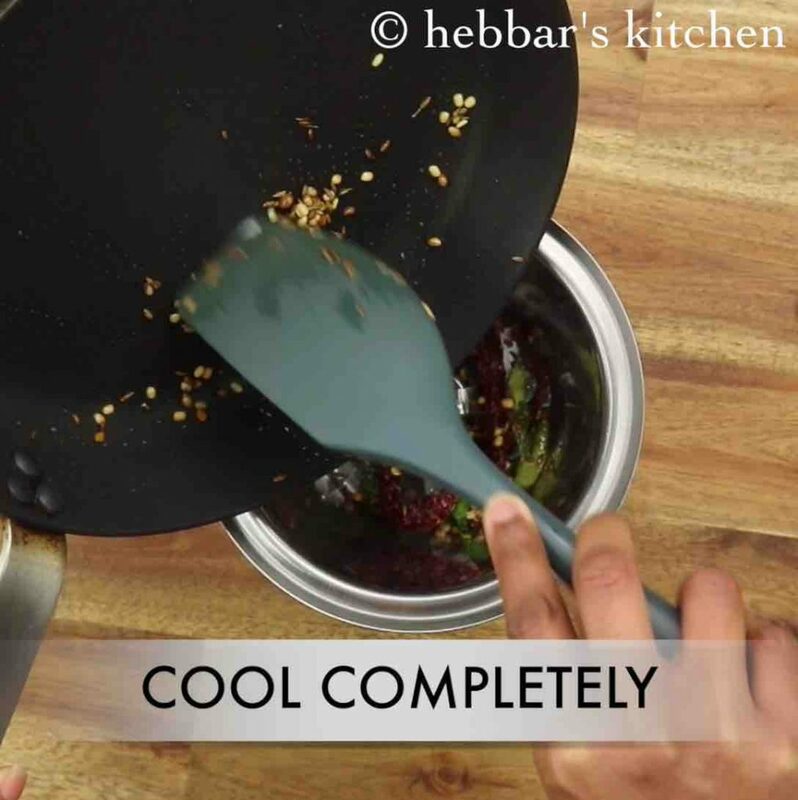 transfer the masala paste to cooked radish leaves. 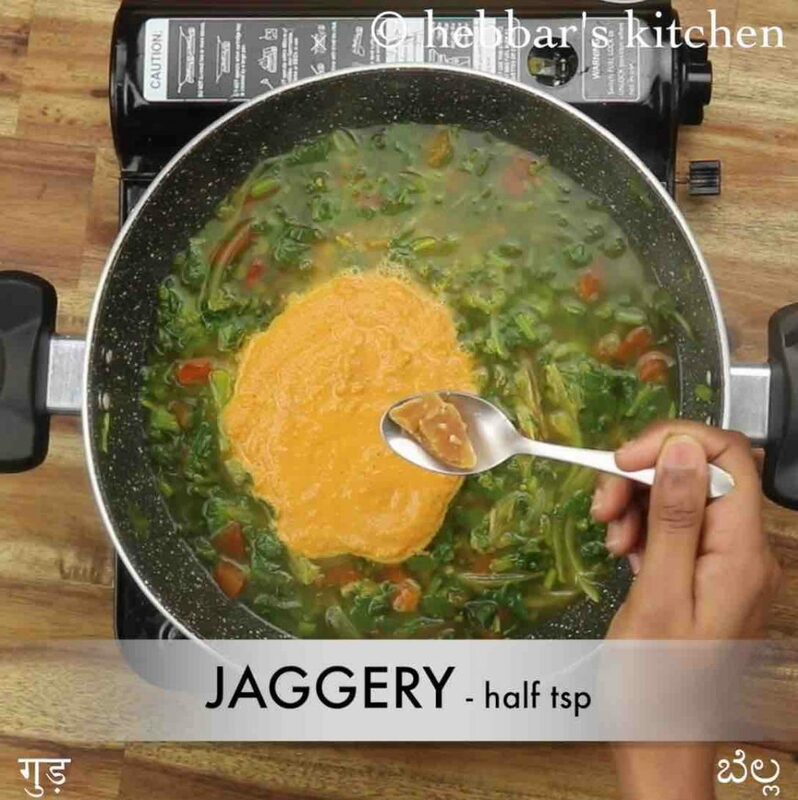 also, add ½ tsp jaggery and ¼ tsp salt. mix well. 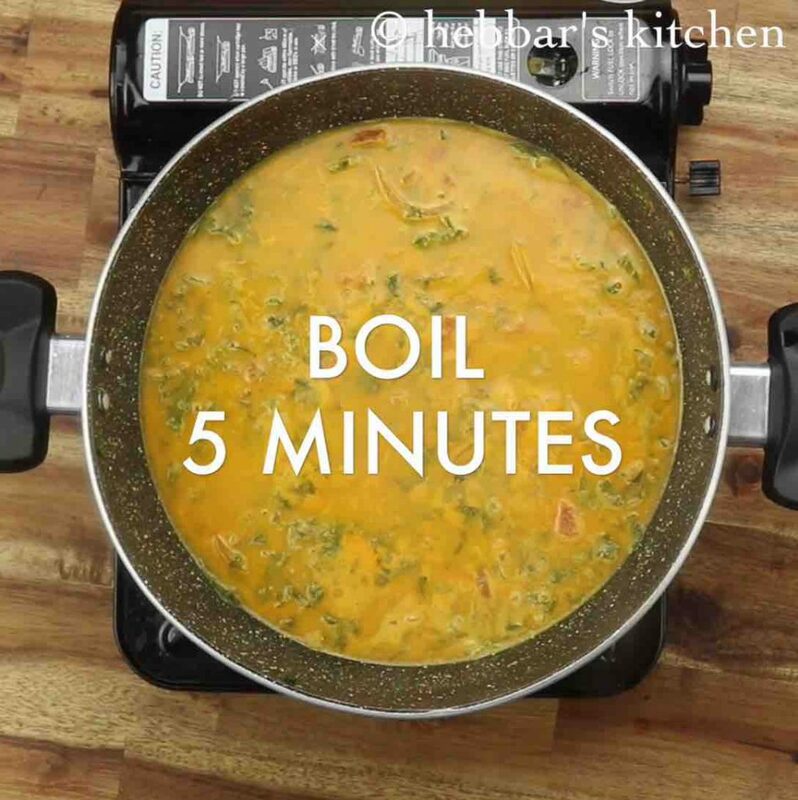 boil for 5 minutes or until raw flavour of coconut disappears. 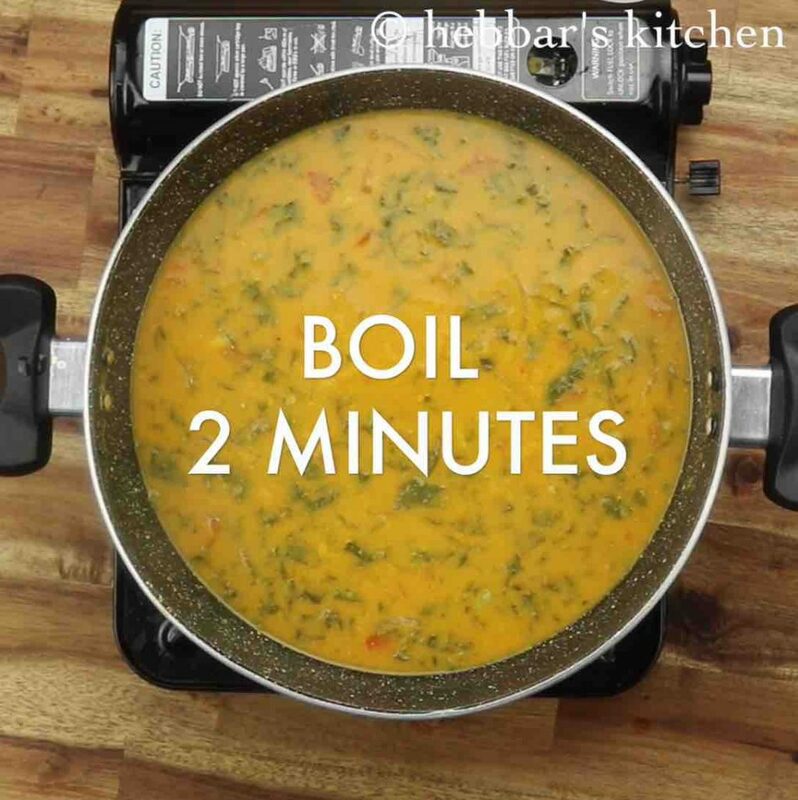 furthermore, add 1 cup cooked toor dal and mix well adjusting consistency as required. boil for 2 minutes or until the saaru is cooked completely. pour the tempering over saaru and mix well. finally, enjoy mulangi soppu saaru with hot steamed rice. 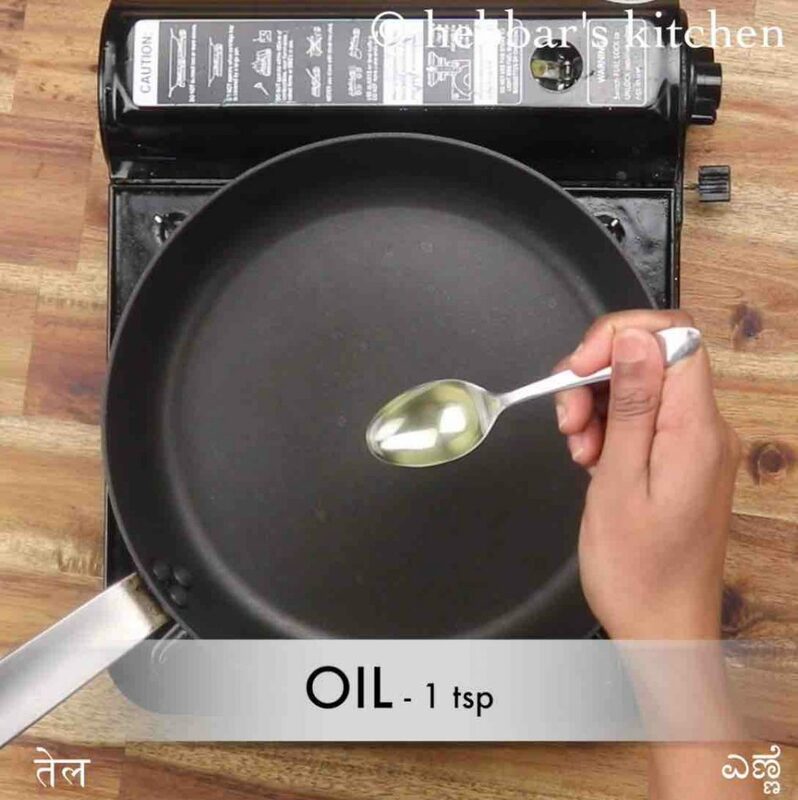 meanwhile, prepare masala paste by heating 1 tsp oil. 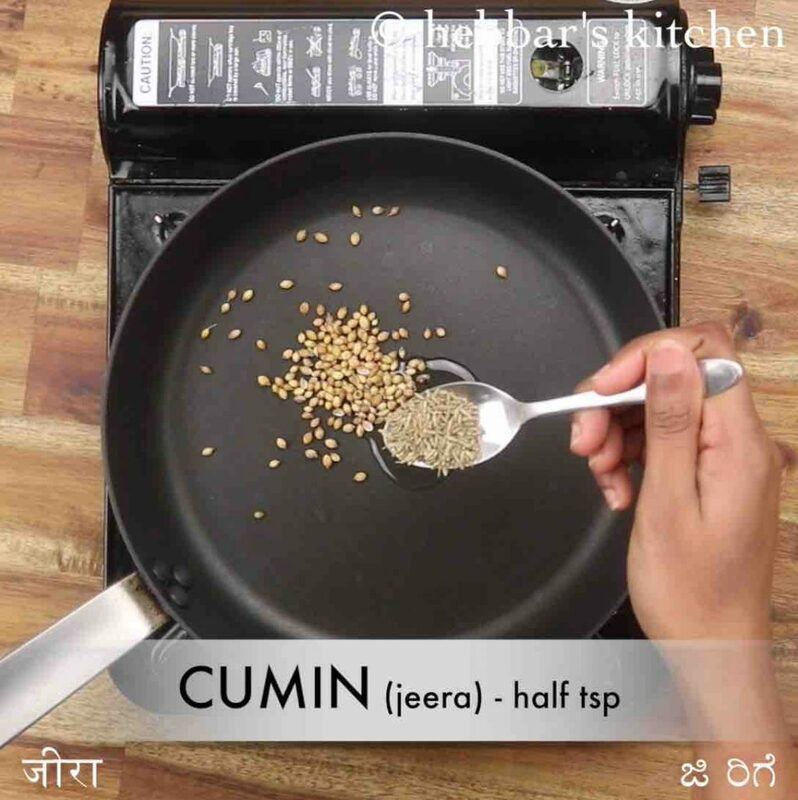 roast 1 tsp coriander seeds, ½ tsp cumin, 1 tsp urad dal, ¼ tsp methi, 3 dried red chilli and few curry leaves. transfer the roasted spices to a blender and cool completely. 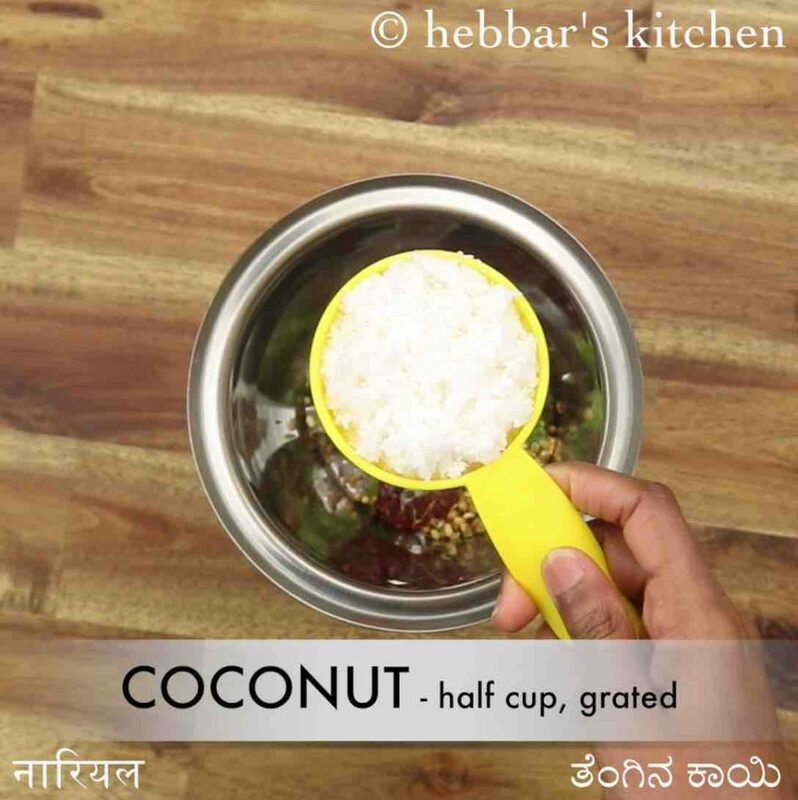 furthermore add ½ cup coconut, small piece tamarind and 1 clove garlic. 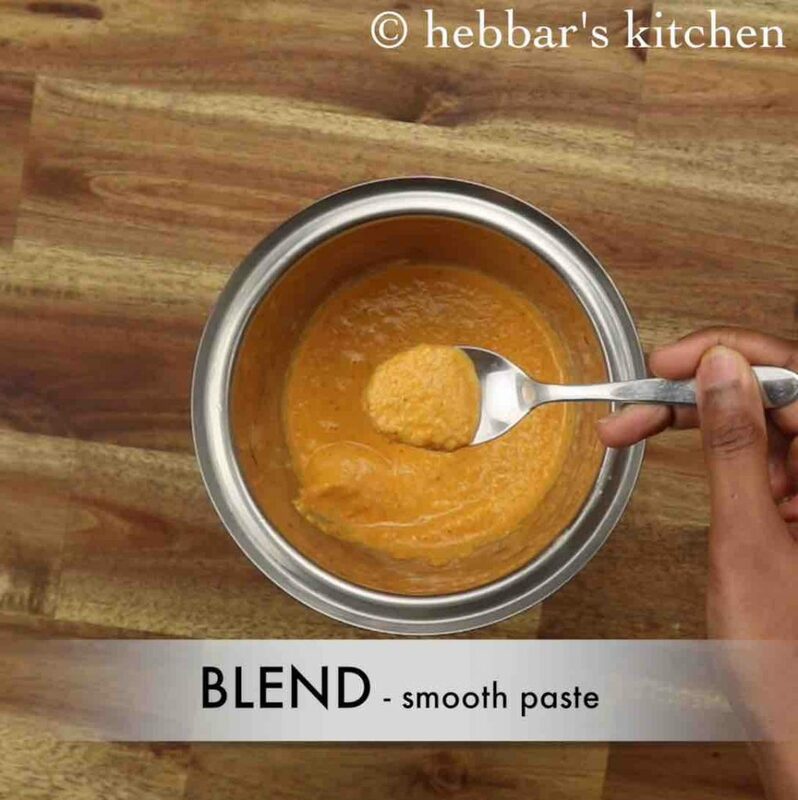 blend to smooth paste by adding ½ cup water. 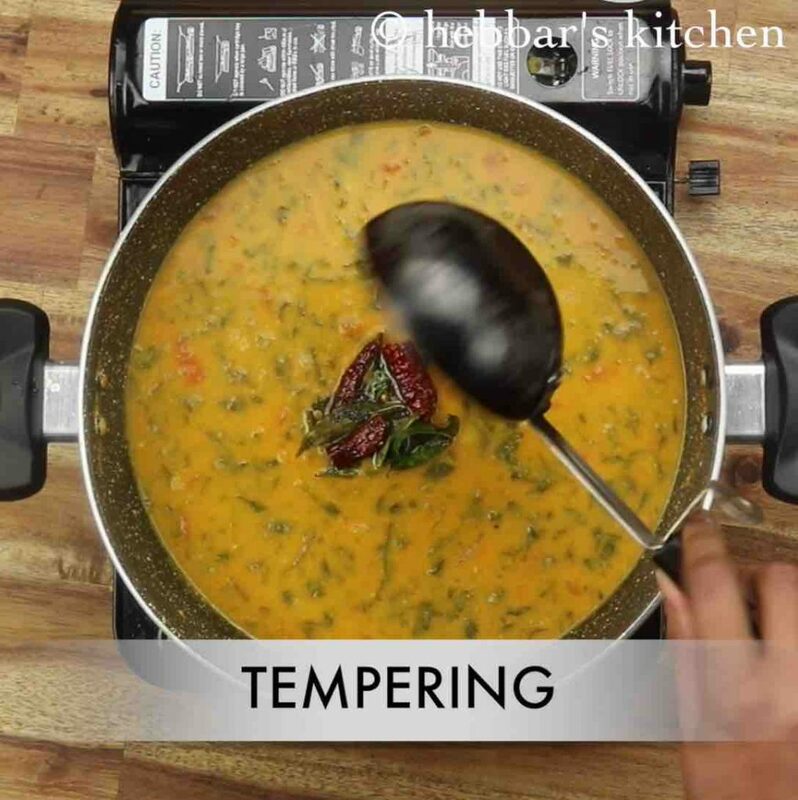 now prepare the tempering, but heating 2 tsp oil and splutter 1 tsp mustard, 1 dried red chilli, few curry leaves. firstly, adding onions along with radish leaves will reduce the smell of radish in the saaru. furthermore, add mix combination of leaves like methi, palak and basale (malabar spinach) along with radish leaves. additionally, add slices of radish along with leaves for variation.